Enter here to see the Gallery of BONNIN in Bulevard dels Antiqueris. Jeweler antique dealer. The Bulevard dels Antiquaris, at nº55 of Passeig de Gràcia, the haert of the modernist city of Barcelona, receives a total of 73 establishments offering, in a single gallery, the most complete range of works of art and antiques: furniture, painting, sculpture, primitive and Eastern art, archaeology, jewellery, ivories, crystals, dolls, decoratives arts in general and small gift objects. The center gathers a wide variety of Antiquarians and Gallery owners, who offer to the art-loving public a total guarantee of the authenticity of the acquired pieces, as well as a safe future investment. 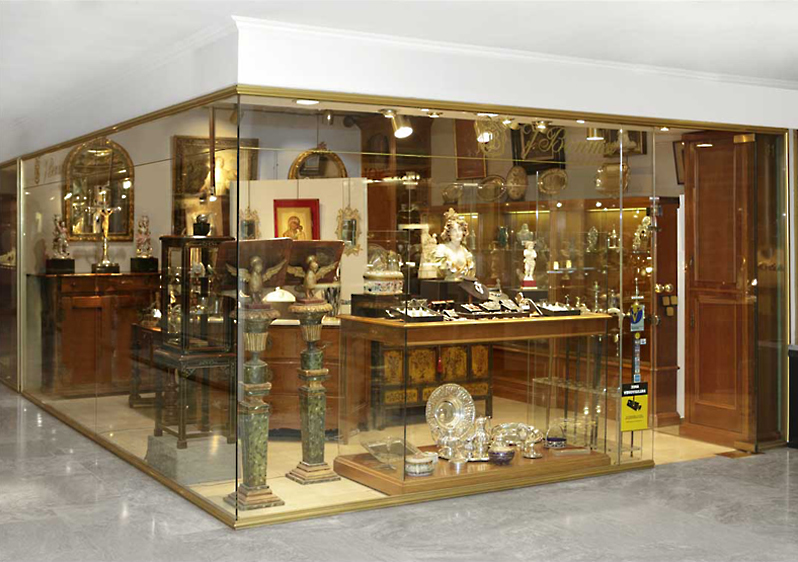 Day of today, the Bulevard dels Antiquaris is still consolidated like the first nucleus of antiques of Barcelona. Passeig de Gràcia 55-57 BCN - 08007 Barcelona Tel. 93 215 44 99 © bulevarddelsantiquaris.com 2016 | bdelsantiquaris@yahoo.es.